I was just flipping through the new issue of House and Home when an interior in the bottom corner of a page caught my eye. It was a single picture of a Toronto restaurant interior, designed by Montana Burnett. 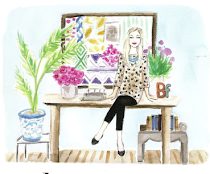 I immediately went to her website to see the rest of the images from this project. I was not disappointed. 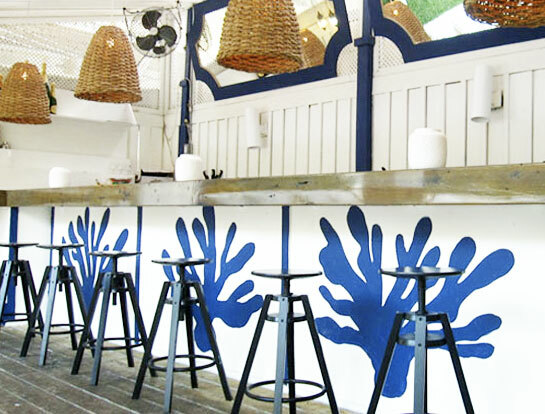 The restaurant's interior is a bold and inspiring combination glamorous energy and beach chic. 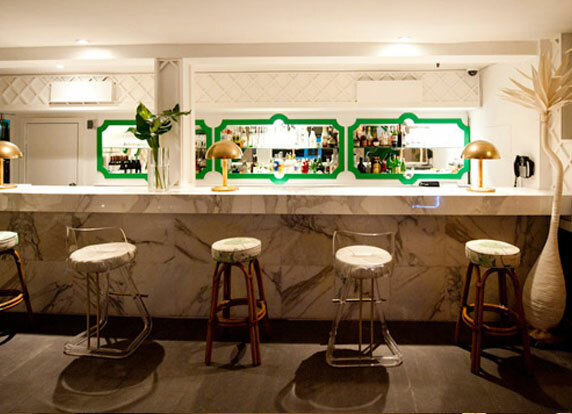 I love the mix of different stools, the marble bar, brass lamps and green framed mirrors. 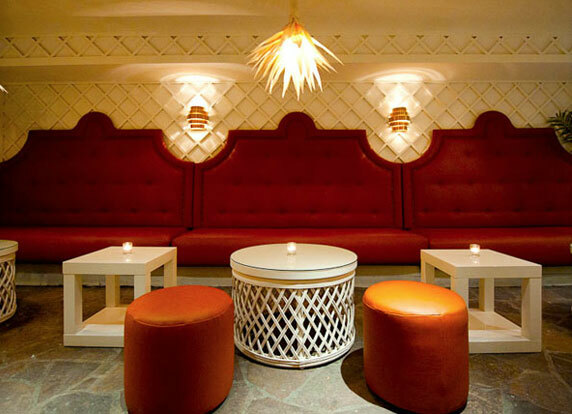 Not to mentioned the lattice walls and rattan chairs throughout the space. 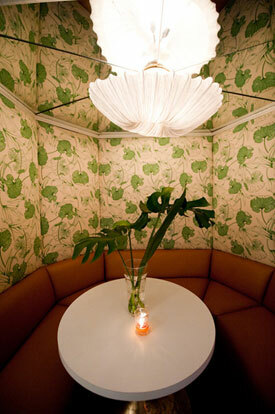 Oh, and beautiful upholstery and statement lighting? Yes, this space has that too! 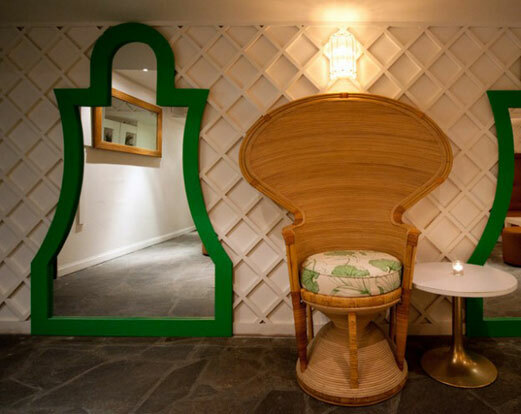 And it gets even better -- I would love to dine in one of the booths and be encompassed by these beautifully upholstered walls under a mirrored ceiling. 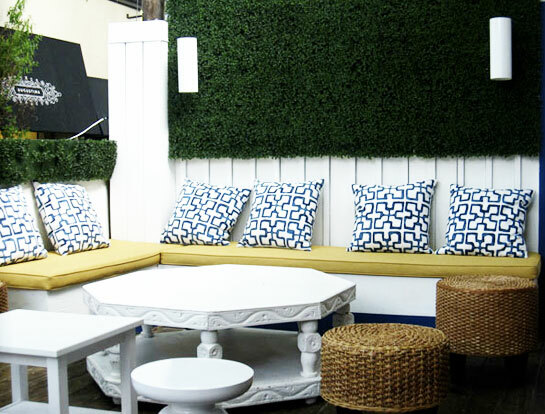 The outdoor lounger and bar area embrace a much more casual take on the look but are as equally as beautiful. Not sure which I love better. The greens look so great with all the tan accents. But that blue is so modern and cool feeling. I really love this decor! The marble and bold kelly green work well together and create an impact. Gorgeous! I get the idea, but for a commercial application, I think it looks rather cheap and homemade. Always i appreciate glamorous things .